Good Shepherd Housing (GSH) and Southeast Fairfax Development Corporation (SFDC) are pleased to host a joint presentation on affordable housing featuring Dr. Lisa Sturtevant of Lisa Sturtevant & Associates. A well-regarded local expert on economic and housing trends, affordable housing needs, and program and policy evaluation, Dr. Sturtevant recently provided expert support to the development of Fairfax County’s new housing strategic plan. 8350 Richmond Hwy, Alexandria, Va.
Dr. Sturtevant has led numerous housing studies for other local jurisdictions, including Montgomery County, Rockville, James City County, Loudoun County, and Arlington County. She has worked on housing-related research projects for the National Association of Realtors, AARP, the National Housing Conference and Urban Land Institute. She has spoken on local affordable and workforce housing issues in cities and counties throughout the U.S. Previously in her career, Lisa served as Vice President for Research for the National Housing Conference (NHC) and Deputy Director of the Center for Regional Analysis and Associate Research Professor at the George Mason University School of Public Policy. She led the Center’s housing-related research and during that time developed a model to forecast future housing demand for the Washington DC region. That model has subsequently been used in other local studies of housing demand. 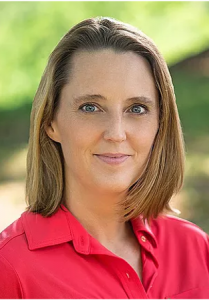 Lisa also worked as a Planner from 2000 to 2005 in Arlington County’s Department of Community Planning, Housing and Development where she analyzed demographic, permit and other development data, and supported the administration of a countywide housing survey. In addition to her consulting work, Lisa serves as a Visiting Senior Fellow at the Urban Land Institute’s Terwilliger Center for Housing where she advises on affordable and workforce housing issues. She is also an adjunct professor at George Mason University and Virginia Tech. Dr. Sturtevant graduated from Wake Forest University in 1994 with a Bachelor of Science in mathematical economics. She has a Master’s degree in public policy from the University of Maryland and a Ph.D. in public policy (concentration in regional economic development) from George Mason University.